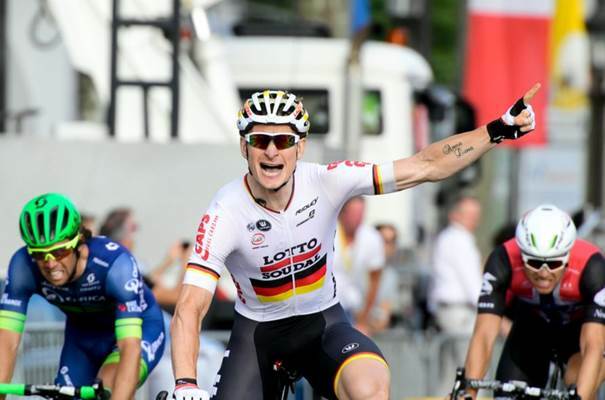 Like last year, André Greipel won the prestigious conclusive stage on the Champs-Elysées as he outsprinted Peter Sagan and Alexander Kristoff. This is the first win of the German national champion at the Tour de France this year and his eleventh in total. Chris Froome won his third Tour de France after 2013 and 2015 to rejoin Philippe Thys, Louison Bobet and Greg LeMond in the record books one line below five-time winners Jacques Anquetil, Eddy Merckx, Bernard Hinault and Miguel Indurain. 175 riders started stage 21 in Chantilly. Chris Froome celebrated his third Tour de France victory. Joaquim “Purito” Rodriguez, 7th on GC at the age of 37, was given the green light to enter the Champs-Elysées alone in the lead to salute the crowd before retiring at the end of this year. French champion Arthur Vichot (FDJ) gave the go to the real race and an eight-man breakaway was formed with 50km to go: Alexis Gougeard (AG2R-La Mondiale), Lawson Craddock (Cannondale-Drapac), Markus Burghardt (BMC), Daniel Teklehaimanot (DiData), Jérémy Roy (FDJ), Jan Barta (Bora), Rui Costa (Lampre-Merida) and Brice Feillu (Fortuneo-Vital Concept). Burghardt was ejected from the leading group due to a mechanical. Marcel Kittel (Etixx-Quick Step) also had a mechanical with 35km to go. 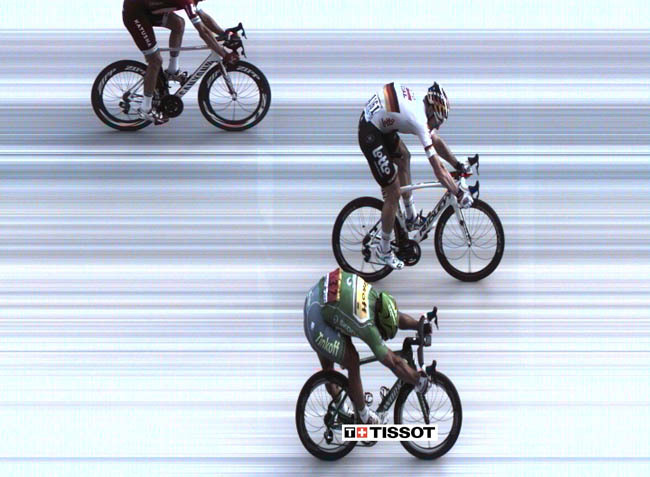 The German who had won the Champs-Elysées in 2013 and 2014 was forced to a solo chase whereas his team-mate Tony Martin pulled out due to a left knee injury. The seven escapees had a maximum of 25 seconds lead. Luke Rowe and Wout Poels (Sky) showed off and joined them at the front with 18km to go. As the breakaway got reined in, Alexey Lutsenko (Astana) counter attacked. He was caught by Greg Van Avermaet (BMC) with 12km to go. It was all together again 6.5km before the end. Bryan Coquard (Direct Energie) had a flat tyre with 2.5km to go. Lotto-Soudal did the most impressive work at the front of the peloton and André Greipel was smart enough to mark Alexander Kristoff (Katusha) and pass him right on time while Peter Sagan was coming fast from behind. Riders representing 12 different teams and 10 nations have won the 21 stages of the 103rd Tour de France. Chris Froome has become a giant in the history of the Tour de France. In the record book, he is only one step below the magic quartet of champions who have won the race five times (Jacques Anquetil, Eddy Merckx, Bernard Hinault and Miguel Indurain). With three overall victories (2013, 2015, 2016), he's on pair with Philippe Thys, Louison Bobet and Greg LeMond. Moreover, on the yellow jerseys tally, he stands alone with 44 days in the lead of the overall ranking below Merckx (96), Hinault (75), Indurain (60) and Anquetil (50). 159 Laurens Ten Dam (Ned) Team Giant-Alpecin s.t. 166 Yohann Gene (Fra) Direct Energie all s.t. 169 Timo Roosen (Ned) Team LottoNl-Jumbo all s.t.